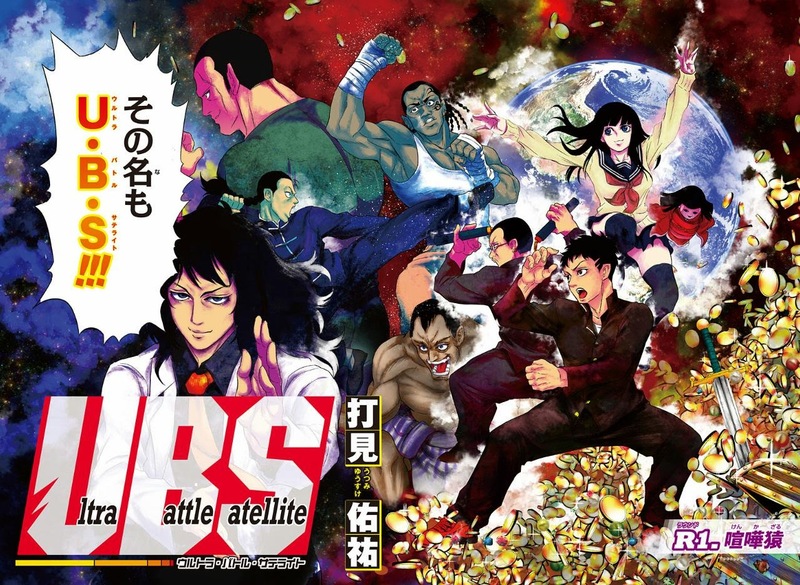 Ultra Battle Satellite started in Weekly Shonen Jump #13 by newbie Yuusuke Utsumi. Welcome to the world of street fighting!! Sakura Momochi, a mysterious black-haired girl appears before teenage fighter, Jin Matsuriya. "You'll get one soon… an invitation to real deadly fights with no rules... a tournament where blood is washed away with blood." Her mysterious words and an invitation arriving at the same time to the UBS (Ultra Battle Satellite) fighting tournament draws Jin into the world of street fighting!! A no rule head-on battle begins!! First thing to note is that it is very rare to see as much battle scenes in a first chapter as found in the first chapter of this series. The first part of the chapter was rather slow and uninteresting however when Jin sees his rival beaten to a pulp things start to pick up; and the second half of the chapter was a very enjoyable read. Utsumi artwork suits the plot well but he has a very peculiar way of drawing female characters....their eyes!! In my opinion this series would have done very well in either Weekly Shonen Magazine or Sunday, but I have my doubts that it will preform well in Jump. I think the same, in Jump with battle without rules and so much blood in a Jump Shounen, it will be hard, probably on Magazine it could work, if they are lucky maybe they will pass the 20 chapters.